There are nine tracks upon which trains can be staged. All tracks are run through so can hold eastbound or westbound trains. 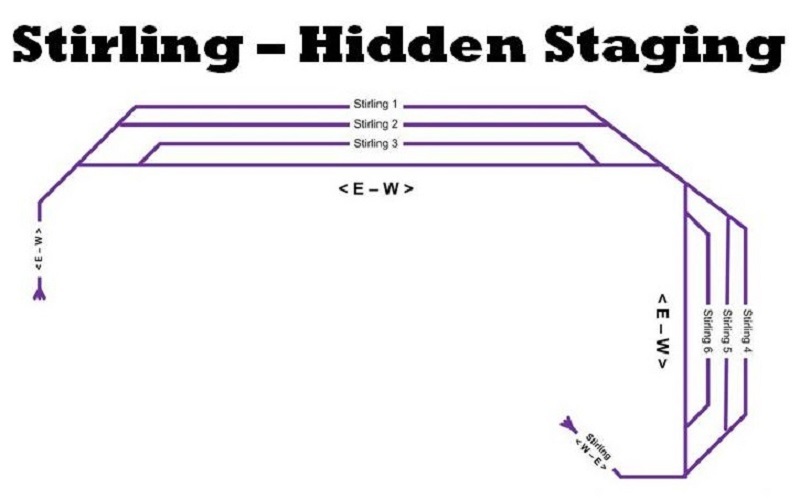 Currently all lower level staging tracks have generic names e.g. Stirling 1 – Stirling 6. Eventually I will rename these to “Town names”. Represents many remote locations that either supply of consume goods from towns and industries on the main layout. It has six staging tracks that can hold approximately 150 freight cars.